The United Nations Conference on the standardization of geographical names is held every five years. To make the work easier, UNGEGN Divisions have been formed. East Central and South-East Europe (ECSEE) Division is one of the 23 UNGEGN Divisions. 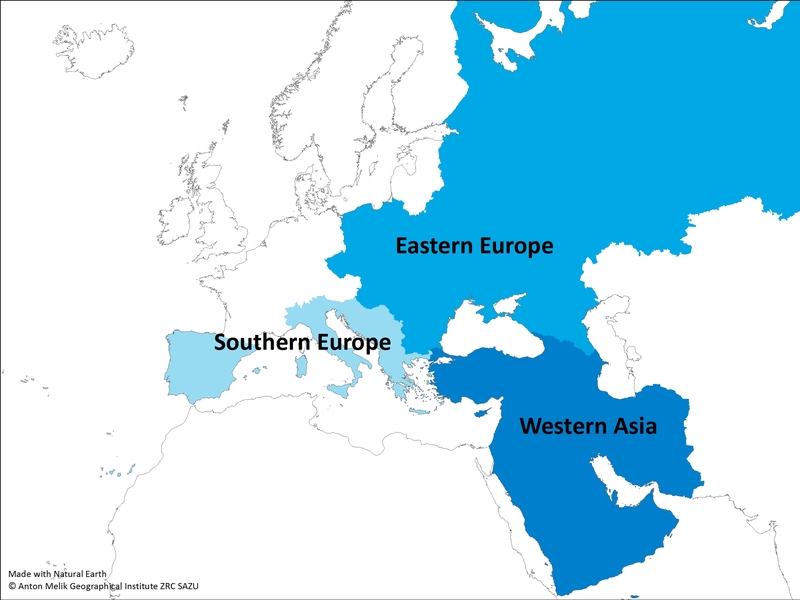 The countries of the East Central and South-East Europe Division (ECSEED) are: Albania, Bosnia and Herzegovina, Bulgaria, Croatia, Cyprus, Czech Republic, Georgia, Greece, Hungary, Montenegro, Poland, Romania, Serbia, Slovakia, Slovenia, The former Yugoslav Republic of Macedonia, Turkey and Ukraine. East Central and South-East Europe Division. The Socialist Federal Republic of Yugoslavia was an original Member of the United Nations since 1945. In the early 1990 it was spited in five countries: Bosnia and Herzegovina, the Republic of Croatia, the Republic of Slovenia, The former Yugoslav Republic of Macedonia and the Federal Republic of Yugoslavia. Bosnia and Herzegovina, Croatia and Slovenia were admitted as Member of the United Nations on 22 May 1992. In the 1993, the General Assembly decided to admit as a Member of the United Nations the State being provisionally referred to for all purposes within the United Nations as The former Yugoslav Republic of Macedonia pending settlement of the difference that had arisen over its name. On February 14th, 2019 The former Yugoslav Republic of Macedonia officialy changed its name to North Macedonia.